It is a lovely Spring day here in Seattle. I hope it is nice in your part of the world. We are off to Easter brunch later. TPS is in the kitchen whipping up his extra special carrot cake. When he is done, I am onto making deviled eggs. Our hostess with the mostest, Sarah, puts on a full afternoon affair with an egg hunt for the kids and a deviled egg contest for the adults. I am hoping a generous dollop of divine caviar on my egg entry puts the judges into culinary delight. All such fun! I hope your day is filled with whatever brings you joy. 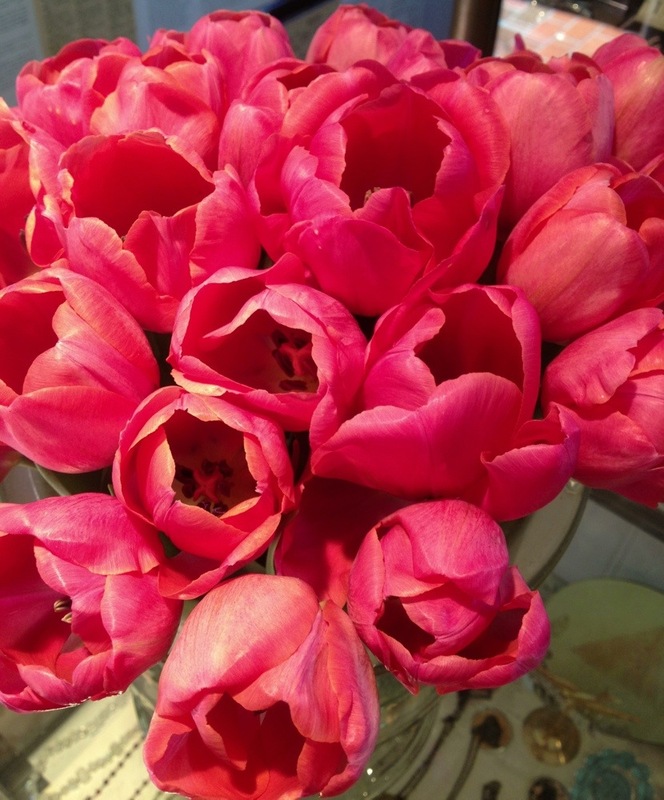 Sending much love from Seattle, as well as a sweet bouquet of Market tulips. The color reminded me of watermelon. 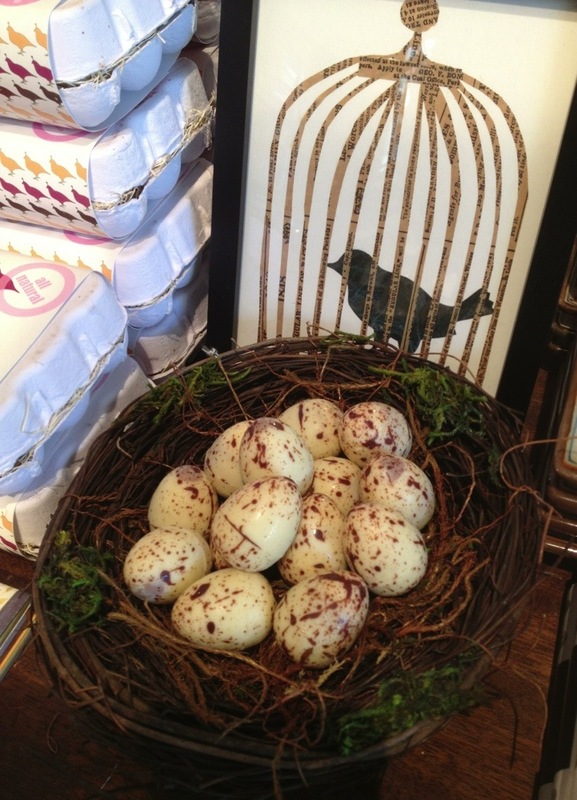 Quail eggs are small works of art. The color and variations just beautiful. 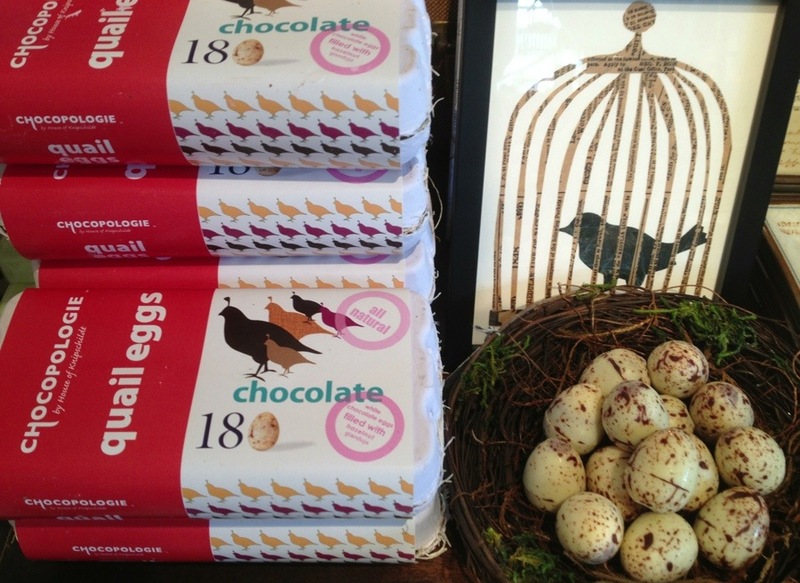 If said beautiful quail egg was made of white chocolate and filled with hazelnut goodness, even better. 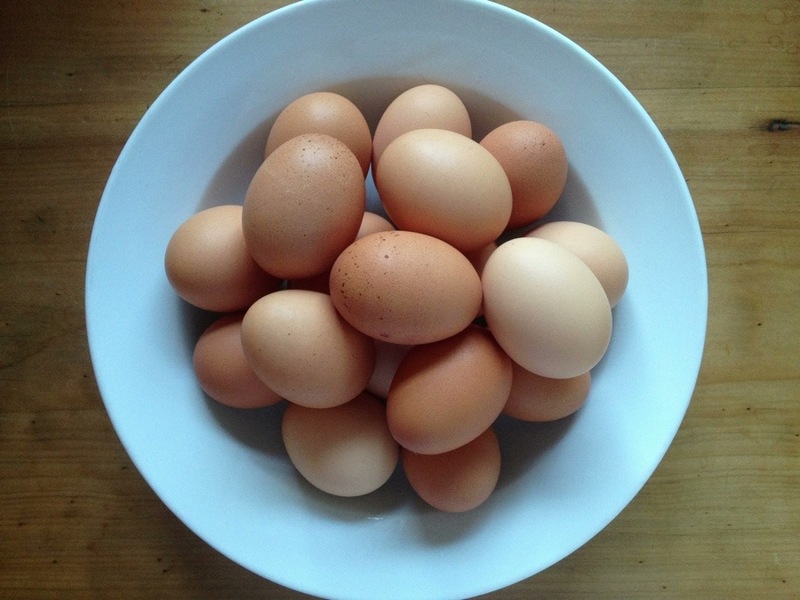 We received a large shipment of these delightful egg crates filled with these little gems this week. Just in time for Easter gift giving. Just the sweetest little things. Pun intended. 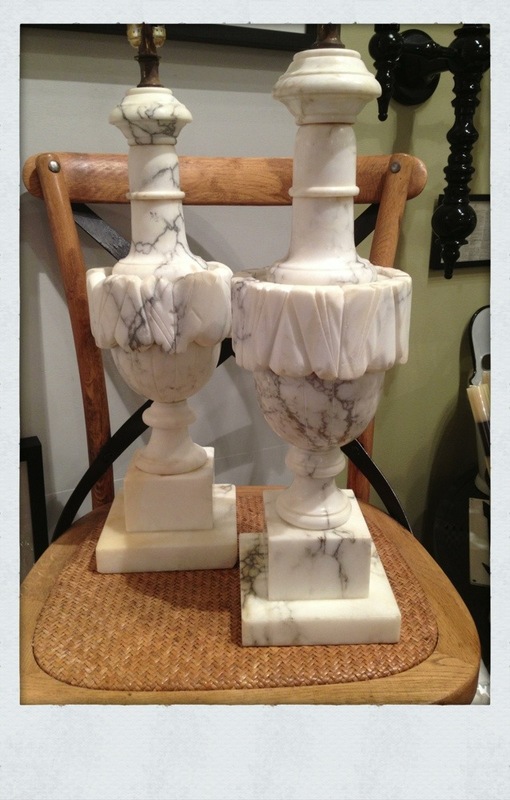 Made by the famous House of Knipschildt, they are sure to please. 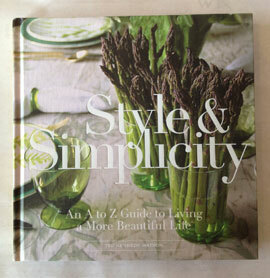 Food books can make such great gifts. The above 2, ‘Salted’ and ‘Pepper’ delve deep into the history of both, while also being cool enough to leave out on the coffee table. Filled with recipes, they are also interesting cookbooks. The duo wrapped together makes for a quite special combo gift. 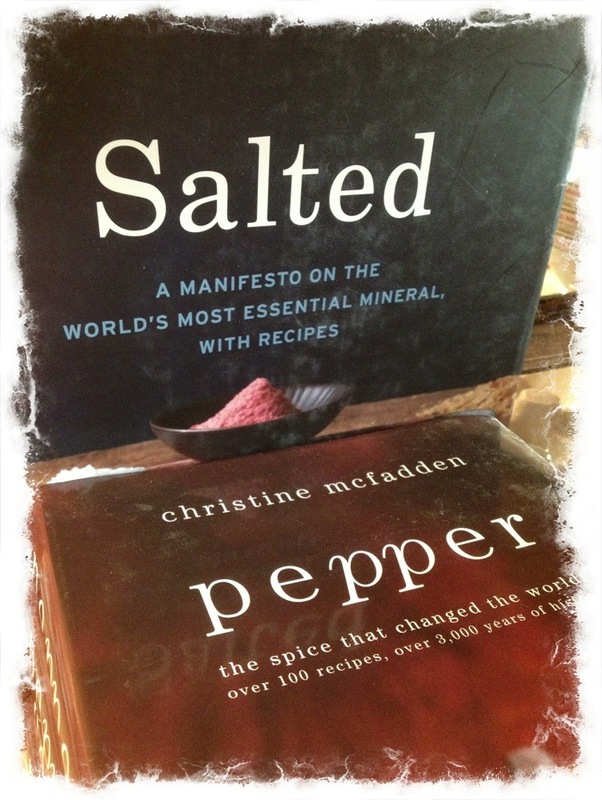 We had a customer the other day buy the ‘Pepper’ book and we tied off a small pepper grinder to the package, which made for a festive, clever, and oh so useful gift. 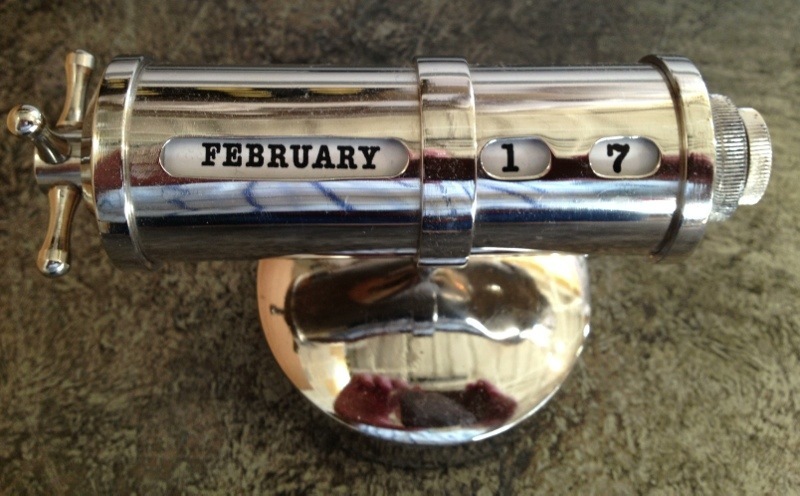 The Watson Kennedy Fine Living shop turns 15 later this year. In some ways it seems just like yesterday. I have been snapping (or whatever the proper term is for taking a photo from the iPhone) a bunch of photos these past few weeks. Here is what caught my eye. Always fresh Market flowers set about. 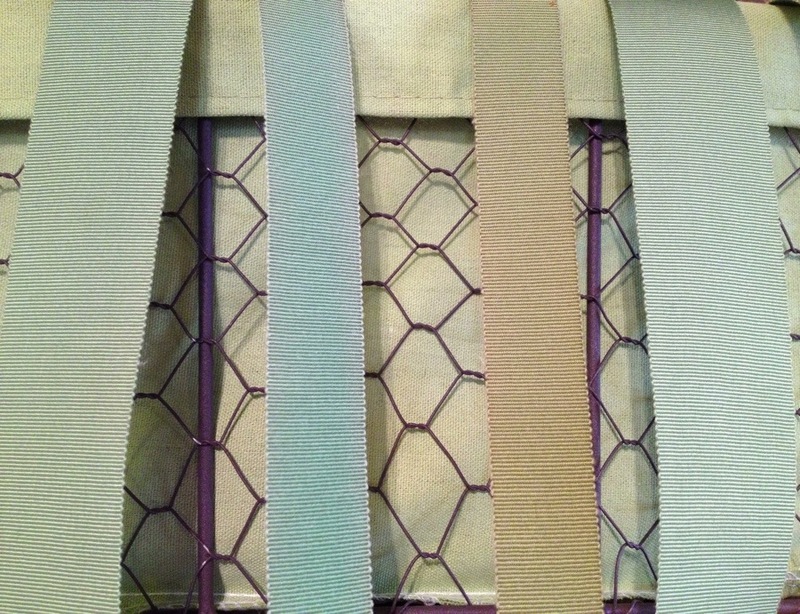 From day one, there has always been a ‘green’ section. 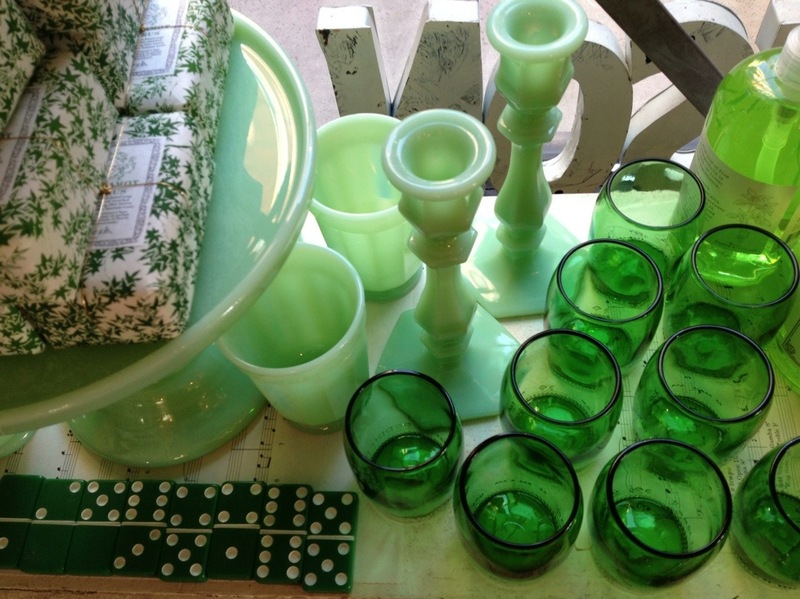 I love all the variations and shades of green in different goods. 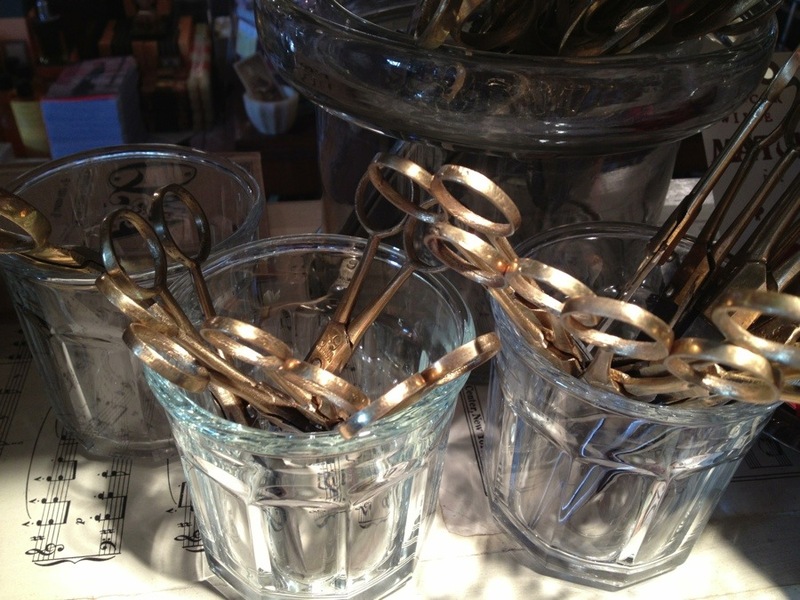 Cups & bowls filled with things–this display, scissors. 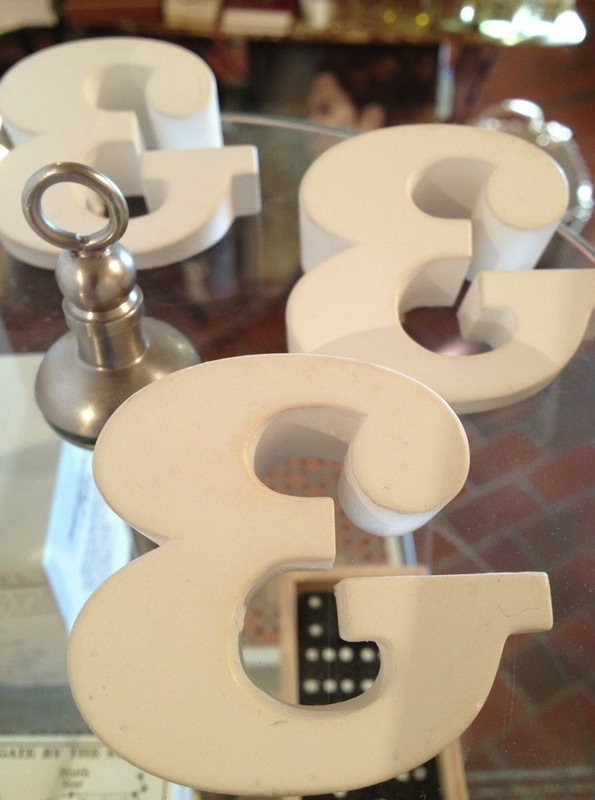 Letters & numbers always a prevailing theme. 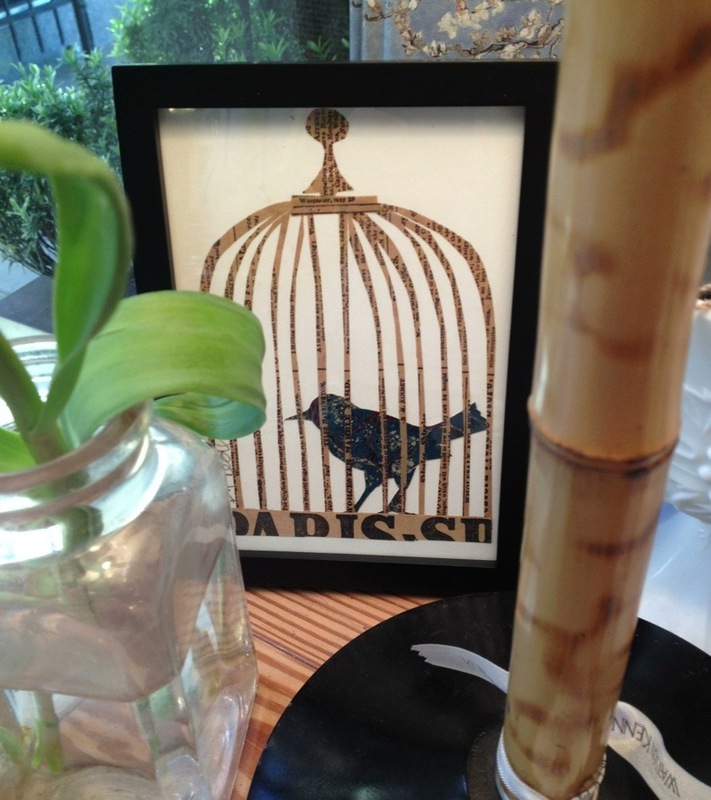 All things relating to birds has had a corner since day one. 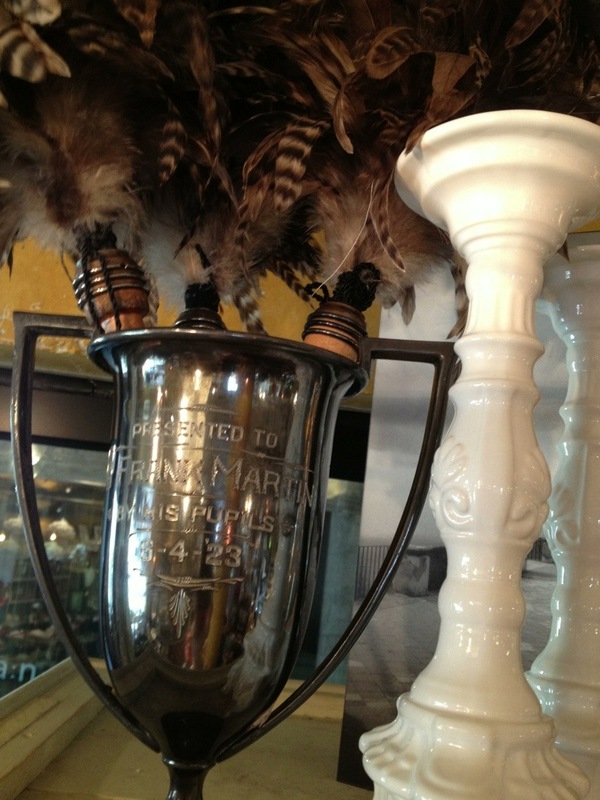 The ‘bird’ craze may come and go, but it is always here to stay at WK. Always vintage in many forms both big and small. 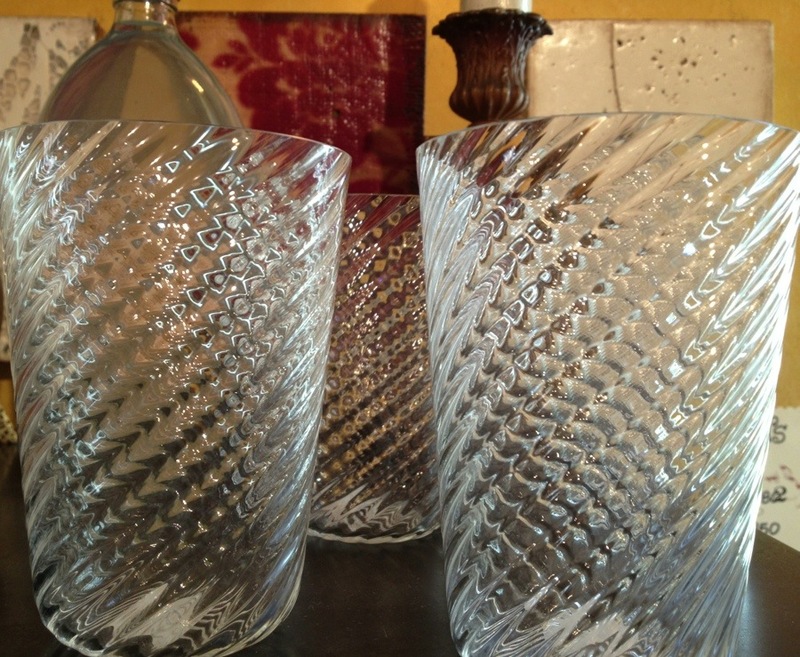 And clear glassware in many, many shapes and sizes. 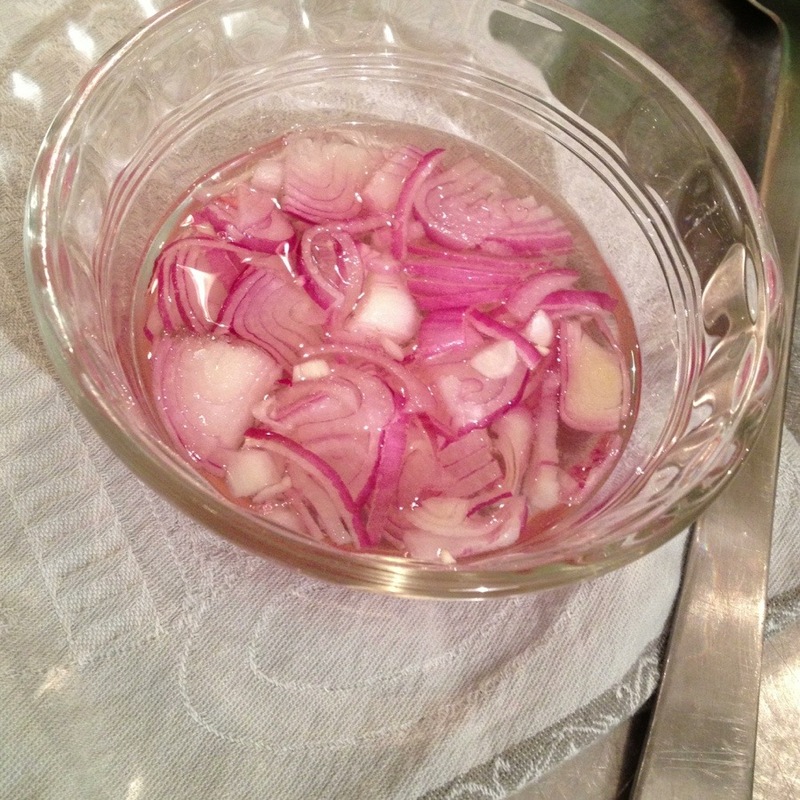 A super easy way to enjoy shallots in vinaigrettes and salads is to give them a quick pickling. Put sliced shallots into a bowl, add a pinch of salt, then fill bowl with enough rice wine vinegar to cover the shallots. Let sit for 15 minutes to a half hour. The shallots will take on a nice mellow sweetness. You can also use the leftover rice wine vinegar from the bowl to whip up a sweet vinaigrette. You all know I love quotes. This one kind of blew me away when I first read it. How incredibly true. We are all being filled each day with experiences & memories. It is then that we take those and turn them into something wonderful. 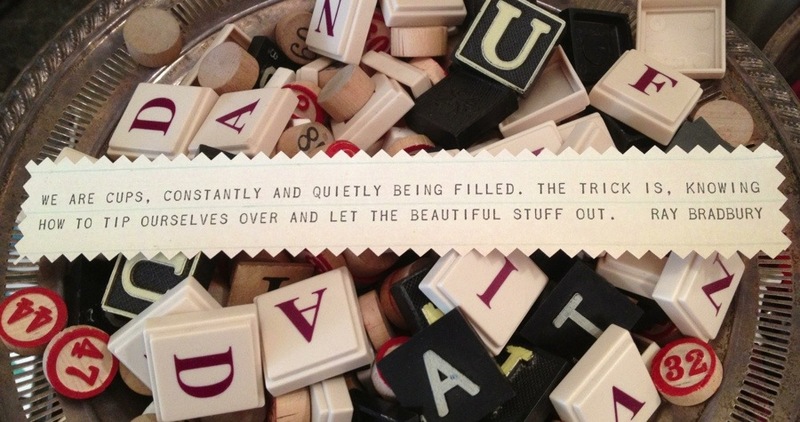 Letting the beautiful stuff out–what a lovely, lovely way to think of it. A perfect way to start off the week. 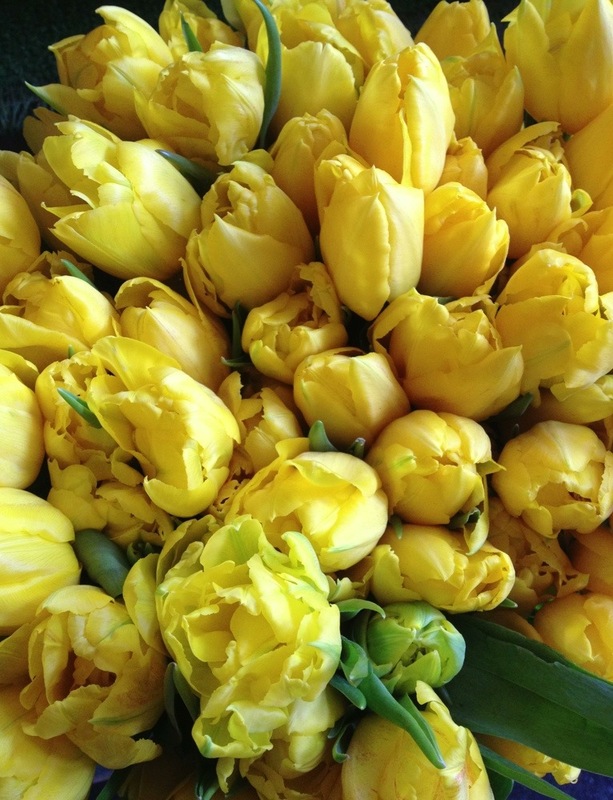 Tulips just make me happy. I love making people happy. The two go hand & hand today. 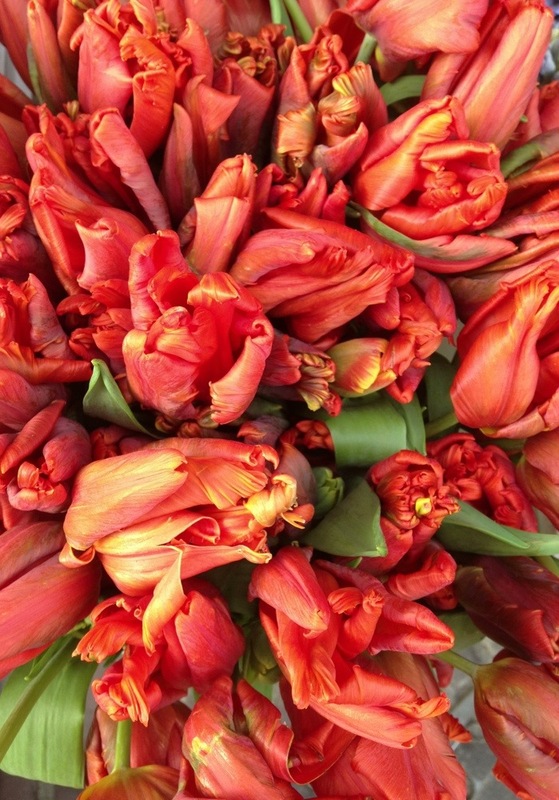 I apologized last month for possibly writing too many tulip posts. Folks then sent e-mails and made comment in the shops to me that no apology was needed. Soooo, here is another, and I know I have a few more coming in the next few months. 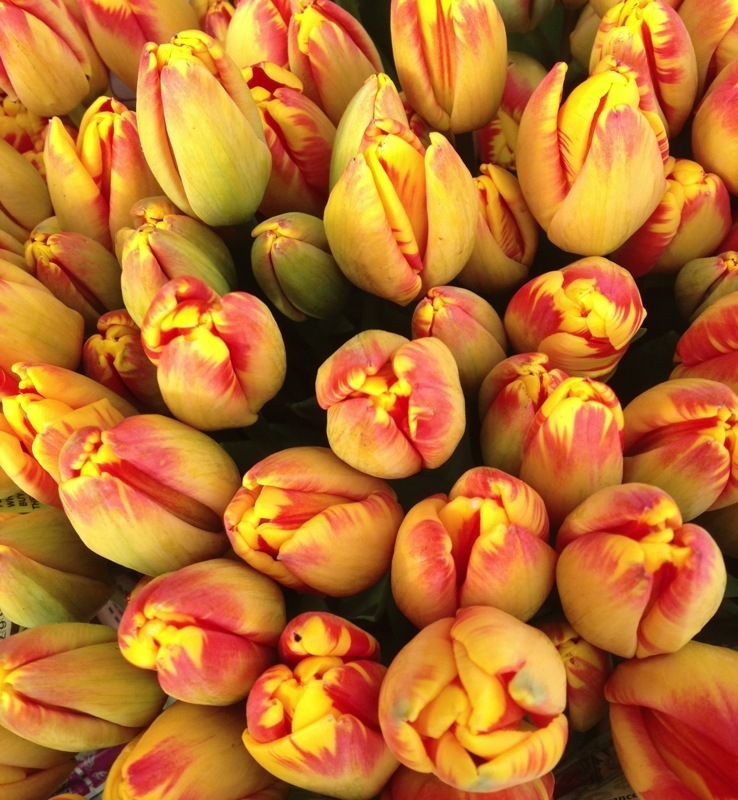 The tulips here are just too good not to share. 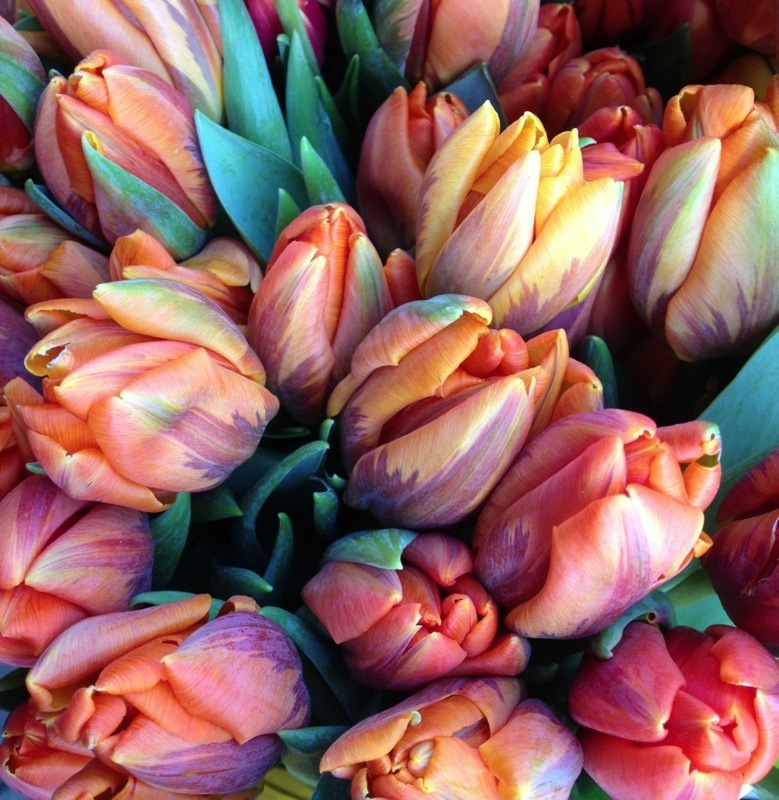 I snapped these yesterday from the flower stall of my favorite tulip vendor at the Pike Place Market. 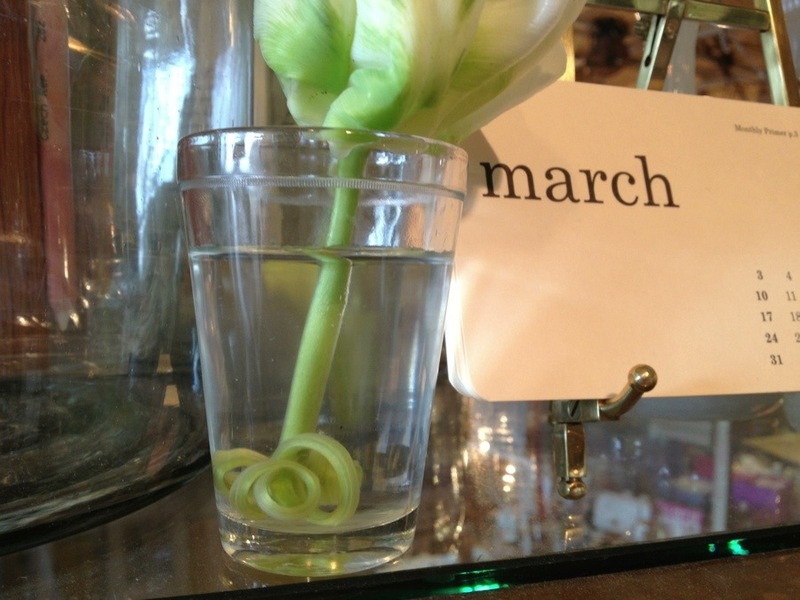 Yes, Spring really is here! 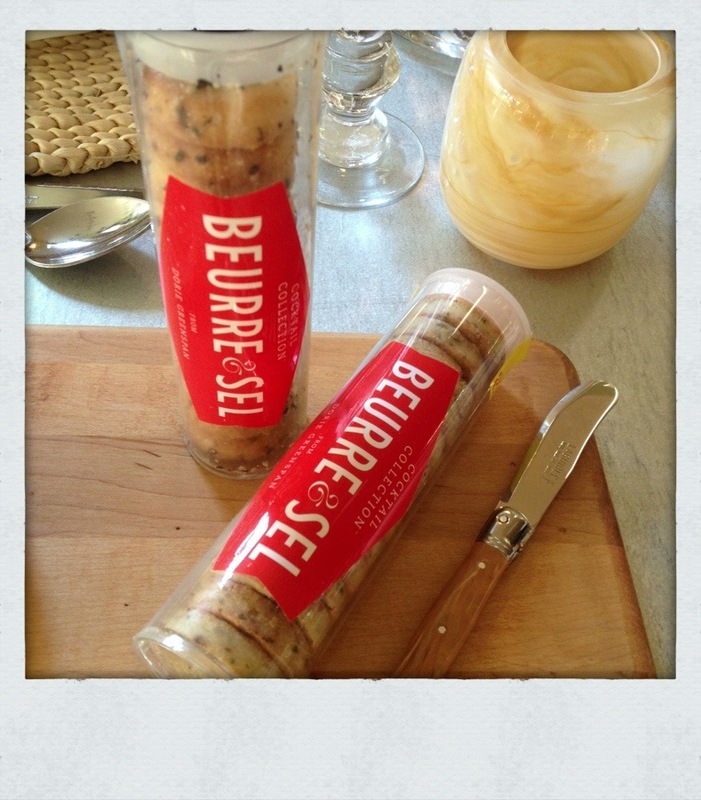 Our first order of Beurre & Sel savory cookies arrived late yesterday afternoon. 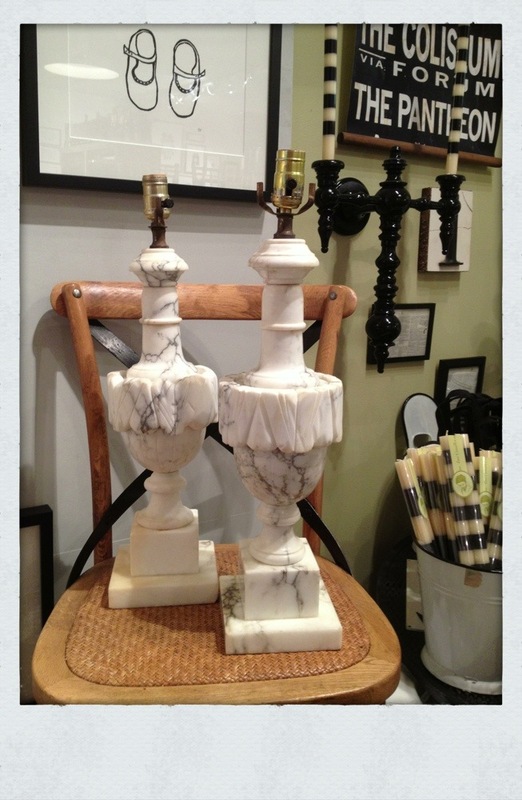 I snatched up 2 of the cool tubes to have as nibbles for the dinner we were hosting last night. Within no time of setting the bowls down, they were gone. These could be a problem. They are so good you can’t eat just one. Maybe one tube of them, but not just one cookie. Made by 4 time James Beard winner Dorie Greenspan in New York along with her son, Joshua, these are sure to please. I selected Rosemary Parmesan and Sesame Sea Salt as the flavors to bring into Watson Kennedy for their more savory bent. 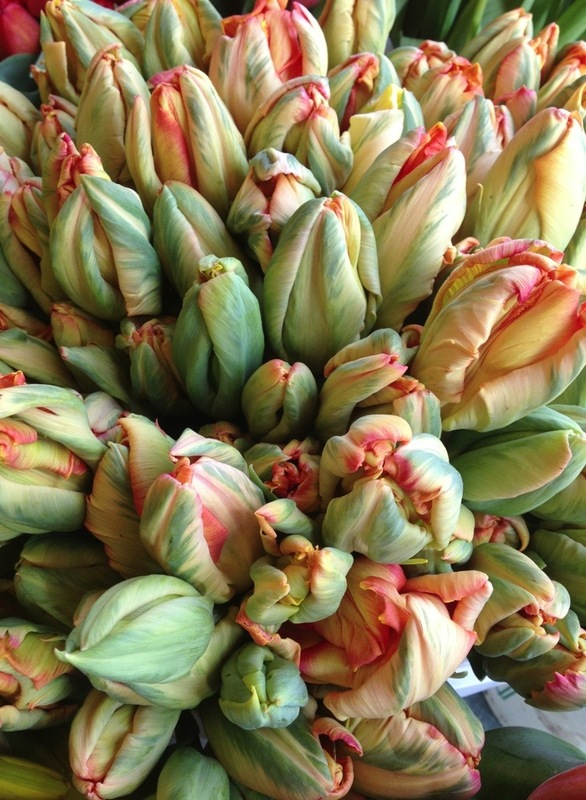 They are perfect served alongside a martini, glass of wine or bubbly. 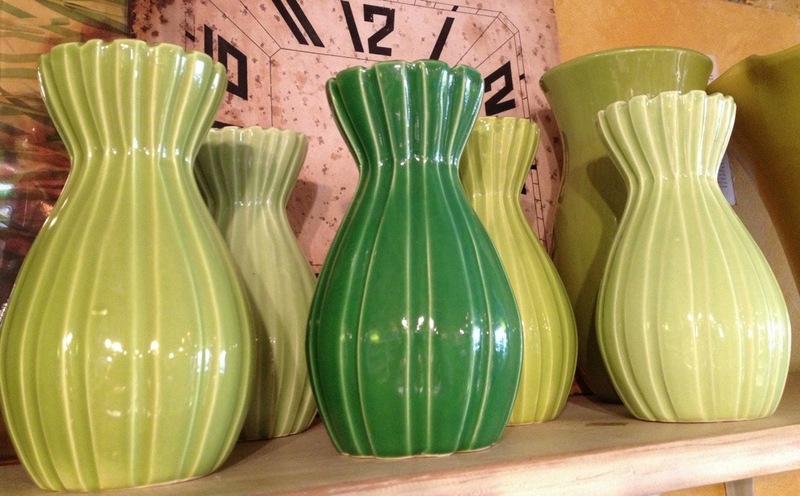 The stylish tubes makes these ideal host/hostess gifts. On these chilly days, it is hard to beat a cup of hot chocolate. If that cup can be MarieBelle, even better. Only challenge is deciding if you want white or milk chocolate. Decisions, decisions. 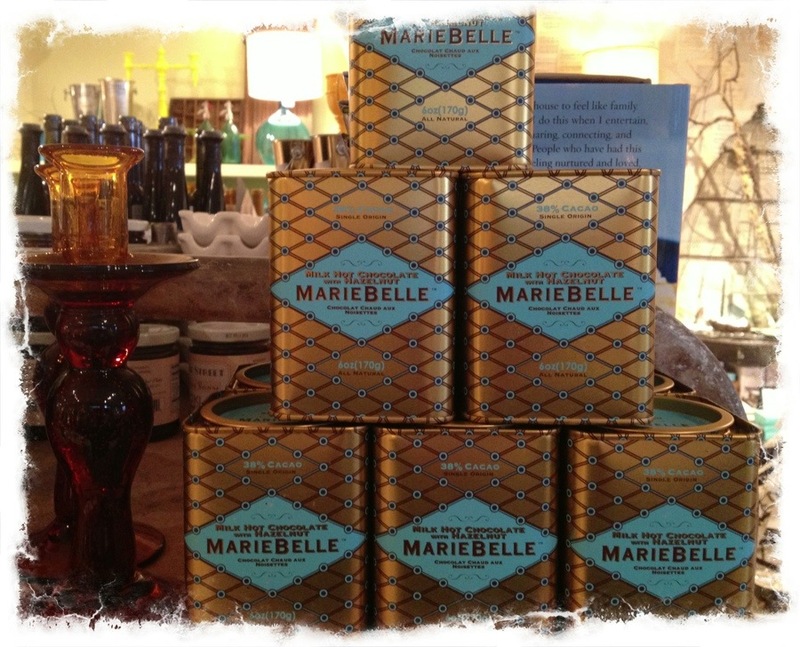 MarieBelle out of New York has become famous for her hot chocolate. I can totally see why. 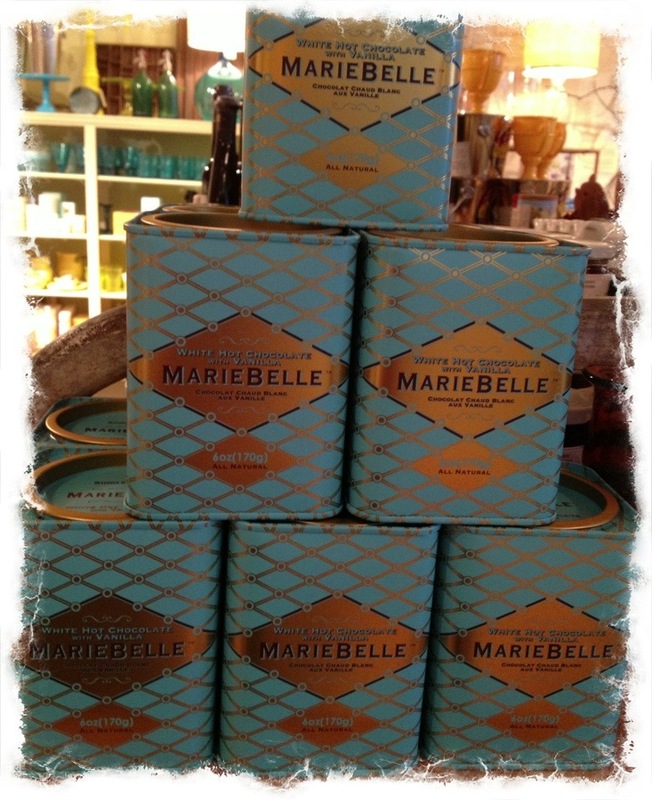 The stylish tins fly off our shelves. The packaging makes them amazing gifts. The contents makes for a happy recipient of said gift. The white chocolate with a hint of vanilla. The milk chocolate with a hint of hazelnut. So good. We often sell 2 tins at a time. I think it is a, “I’ll keep one and give the other one as a gift” situation.